Today we welcome guest designer May Flaum. 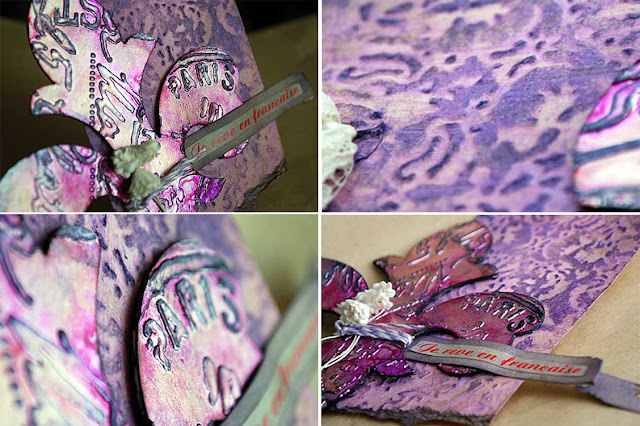 May is sharing a technique that is quick and easy and can add a lot of wow to a project. Welcome May! Lately one of my favorite tricks is to both die cut and emboss shapes with my Sizzix tools. Today I’m sharing a tag with you that showcases a fleur-de-lis die cut embellishment that I was able to make quickly - and have a lot of fun with it. To start, I adhered foil (I used the ranger foil sheets that are adhesive backed – but kitchen foil will do) to a piece of grungeboard. 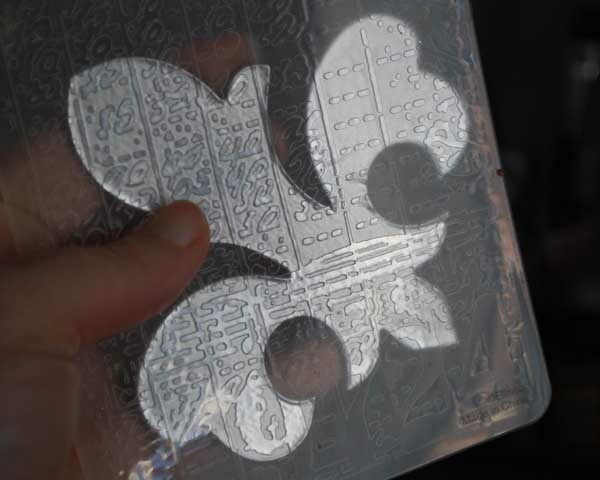 I die cut foiled grungeboard with my fleur-de-lis die. After cutting, I placed it in a few embossing folders to see what design would look good, and what way I wanted to have my shape turned. The great thing about the clear folders is that you can see exactly what you’re getting, and you can move the shape around until you’re happy with what you've got. 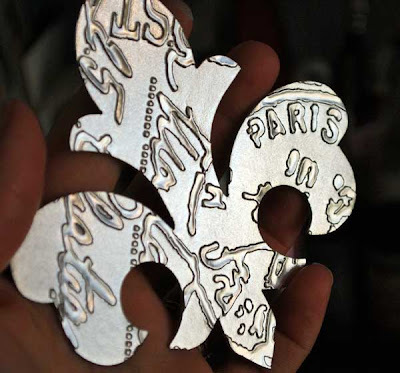 This would work with alphabet letters, pre-made paper die cuts, or any shaped die cut really! So easy to add texture to your accents. 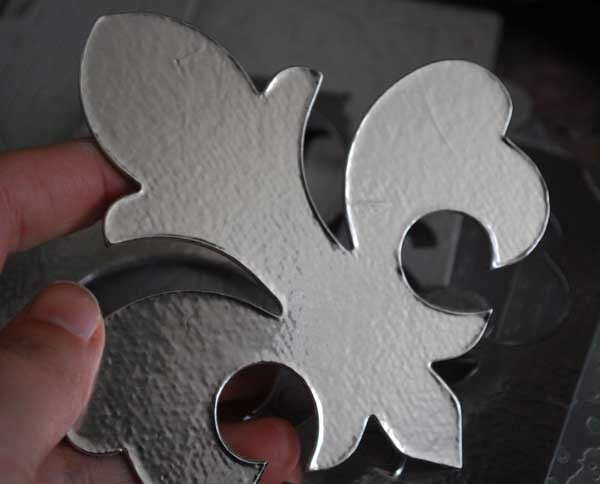 Once it is embossed, just color and attach to your project. I used alcohol inks and then black archival ink (to edge and lightly along raised parts) before adding a bit of twine and flowers and attaching along with a banner die cut and sticker to my tag that is embossed and colored with distress ink. I hope you’ve enjoyed my idea for playing with your die cuts and embossing folders – and I wish you very happy crafting! Thank you May for sharing your creativity with us today! You can visit May's blog for more inspiration at www.mayflaum.com. Love the idea- hanks for sharing how you do it! What a great tip for embossing the pieces! I really love how this turned out and the colors are fabulous! I just love your project!Colors and everything. I just made a card with a similar tecnique. Thanx for sharing. OOOOO WOW is this amazing!!! Beautiful!!! This is lovely, and simple enough that I think even I can do it! Love this look, and need to dig out my grungeboard! Winner! Winner! Sizzix Blog Winners! Sizzix wants to know. . .